Variable amperage control with digital meters. Fully adjustable pulse parameters for welding thin materials. 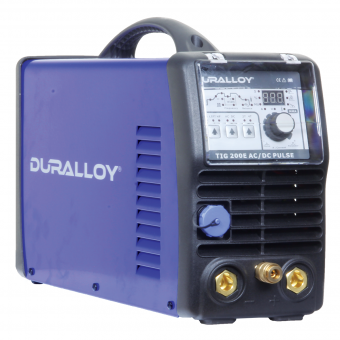 AC balance control (50-85%) monitors the oxide and helps improve cleaning and penetration during Aluminium welding. Equipped with temperature, voltage and current sensors for greater protection.